Relax! You’ve done the hard work, so now it’s time to let someone else help you make your writing the best it can be. If you’re looking for a careful and supportive editor to enhance your voice and give your writing a professional edge, enabling you to share and publish with confidence, I can help. Whatever form your writing takes, I can offer a flexible solution based on your individual requirements, priorities and budget. And if English isn’t your first language, no problem: I have a lot of experience of working with non-native English writers. Rest assured that any amendments and suggestions will be clearly marked up for you to either accept or reject. It’s your work – you have complete control. My role is to help you connect with your readers in an engaging and accessible way, without altering your unique style or voice. And, hopefully, I can help you to become a better writer in the process. Think of it as a collaboration, where I have your best interests at heart. 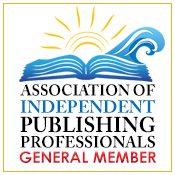 I’m a Professional Member of the UK’s only recognised editorial organisation, the Society for Editors and Proofreaders (SfEP), which means that I’ve acquired the requisite number of training, experience and reference points, and a vetted Partner Member of the Alliance of Independent Authors (ALLi), so you can be confident that your work is in safe hands. For an overview of the different types of editing, take a look at the article I’ve written for my Resources page (which you can also access by clicking here). Alternatively, click on the ‘Find out more’ buttons below or use the menu to see more detailed information on each of the services I offer. You can also read testimonials of my work further down this page. Is your plot plausible and compelling? Are your characters believable? Does your story drag at times and zip by too fast at others? Will your readers feel satisfied by the ending? I’ll look at your work objectively and offer constructive feedback on your book’s strengths and weaknesses, and provide suggestions for development and improvement. Services offered include a full developmental edit, an editorial report and a more economical mini report. I offer a combination of line and copy-editing which focuses on your writing at word and sentence level, balancing creative style with technical accuracy. Put simply, line editing – also known as stylistic editing – focuses on improving your writing by ensuring that it’s artful in the way that it flows, and correct and consistent in the way that it’s presented. Copy-editing aims to correct the writing by making sentences and paragraphs clear in meaning and consistent in style. Whether you plan to self-publish or submit to agents, you'll need to write additional material such as a query letter, synopsis, back cover blurb, elevator pitch and biography - something many writers find harder than writing the book itself. I'll help you fine-tune these and ensure that they are compelling and concise. I also offer a proofreading service (non-fiction only) which is the final check for any errors which have slipped through or been more recently introduced. Interested? Contact me for a no obligation quote.